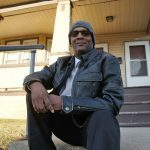 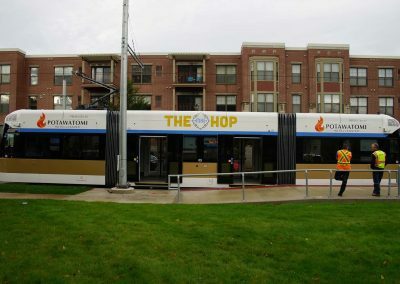 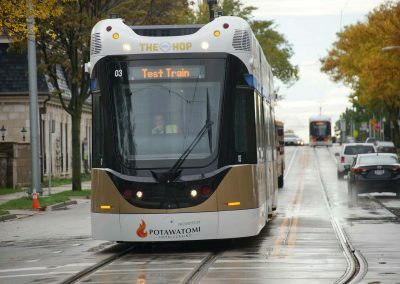 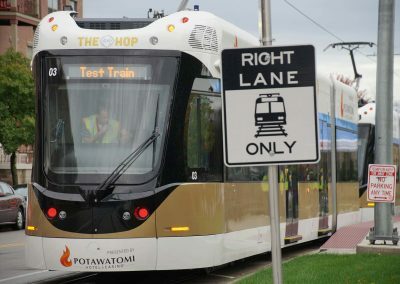 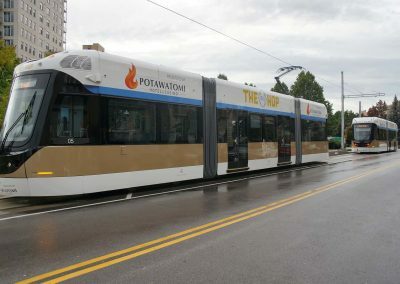 The Hop, presented by Potawatomi Hotel & Casino, hosted a special “Hop-able” open house on October 10 at the Burns Commons streetcar platform, to provide an opportunity for Milwaukee residents living with disabilities to get a sneak preview of The Hop and the accessibility features of the vehicles. 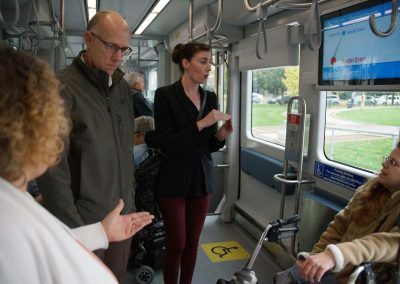 The Hop features ADA-compliant level boarding, priority seating areas, on-board video screens and audio announcements, and accessible stop-request buttons to accommodate passengers of all abilities. 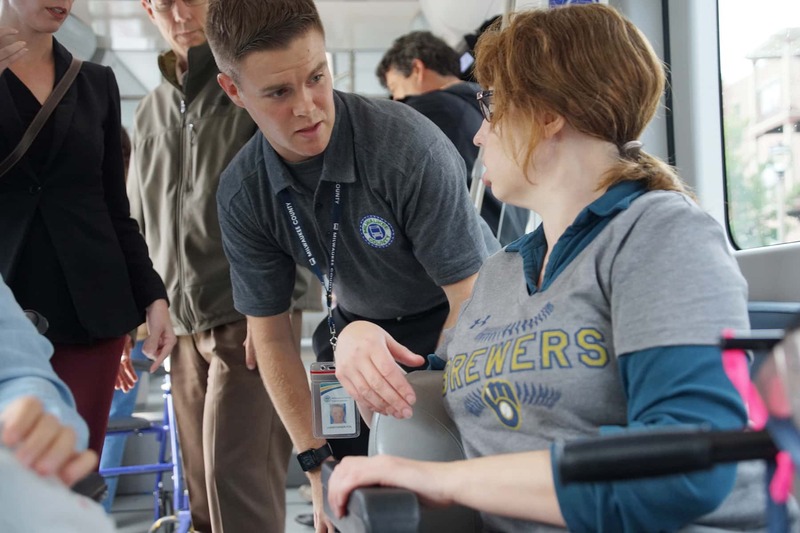 Service animals are permitted if they are specially trained to perform work or a task because of the owner’s disability. 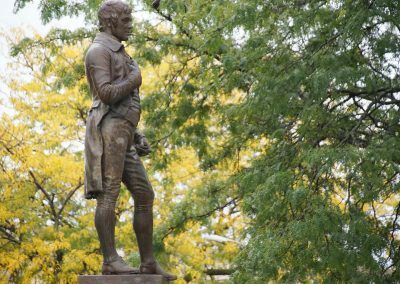 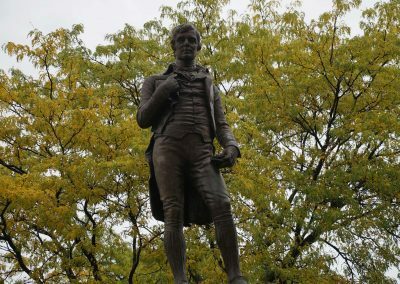 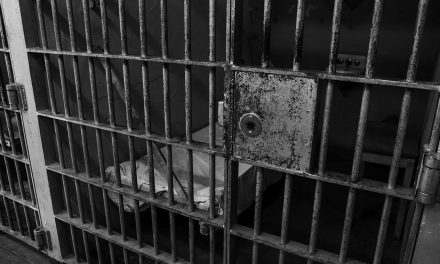 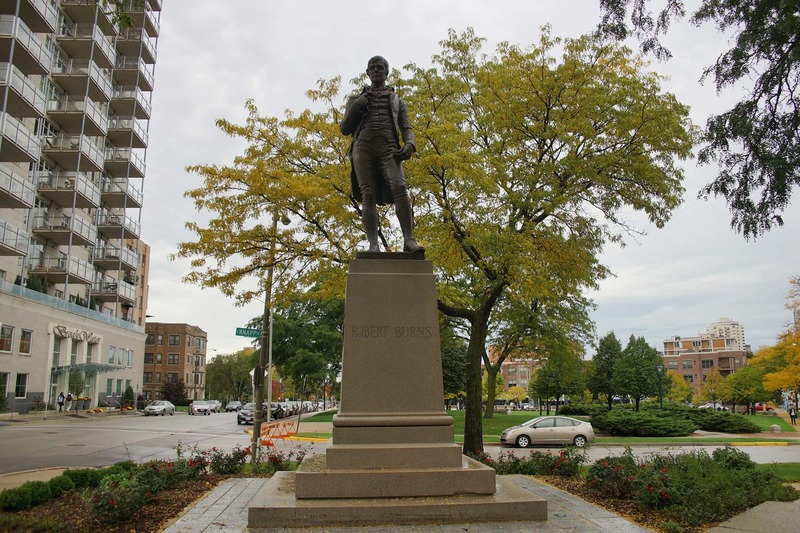 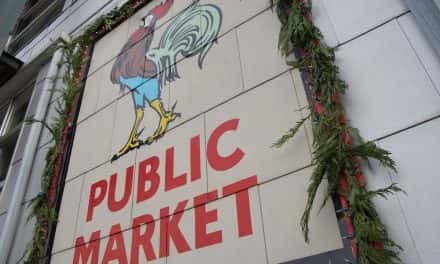 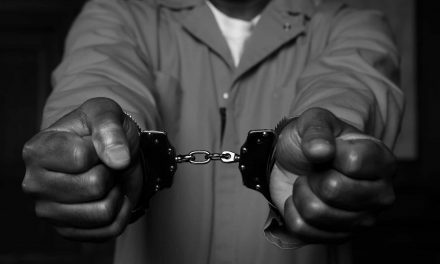 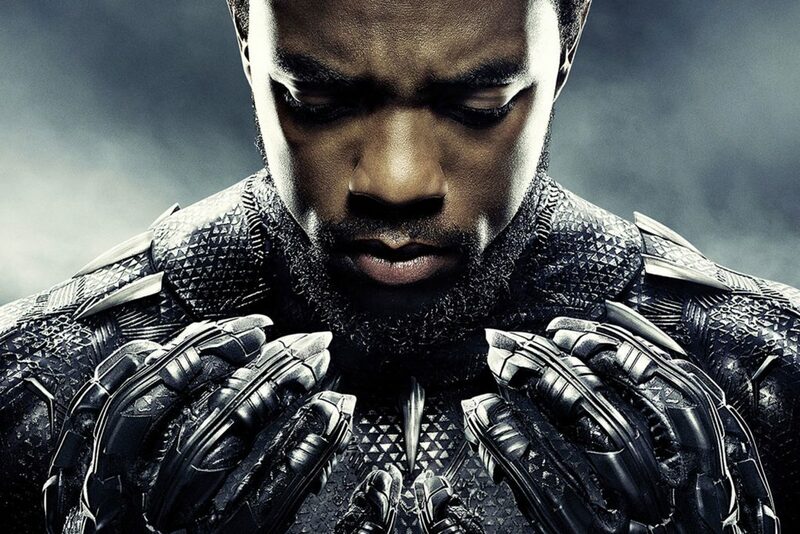 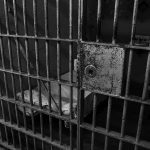 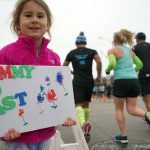 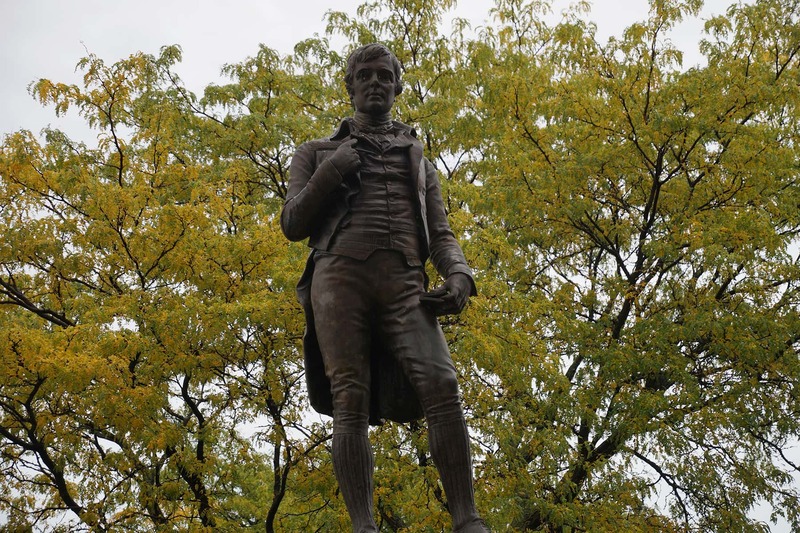 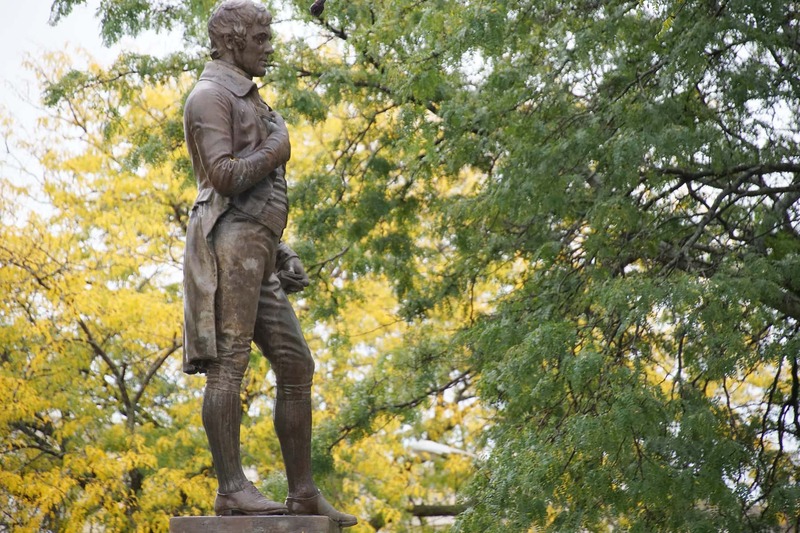 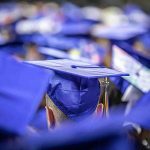 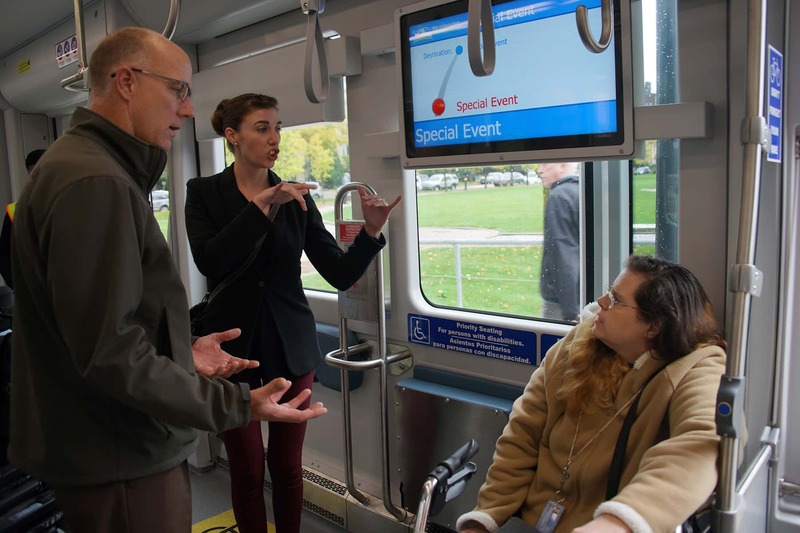 To accommodate attendees for the event, Knapp Street between Franklin Street and Prospect Avenue, just south of the park, were closed to through traffic to allow for loading and unloading of mobility devices. 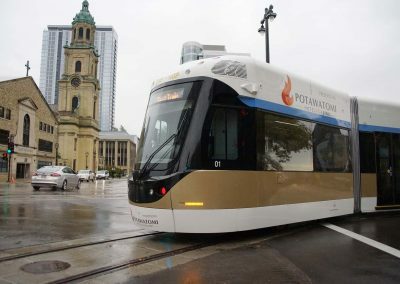 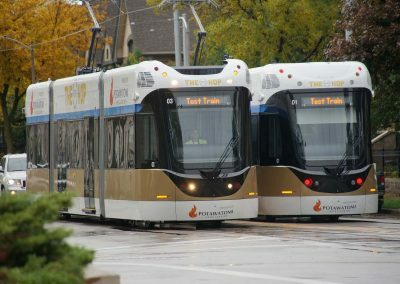 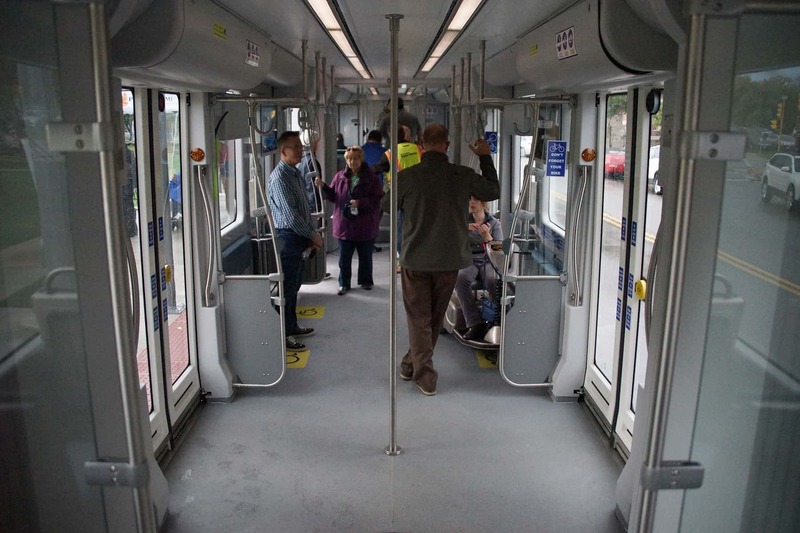 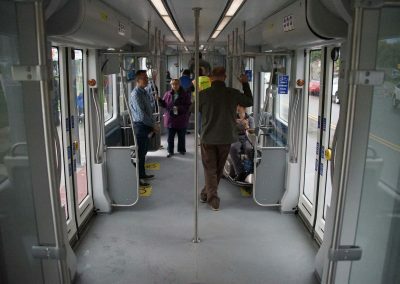 The passenger doors are extra wide and the floor of the streetcar is level with the curb at the stations, allowing easy access for wheeled vehicles such wheelchairs, scooters, personal shopping carts, bicycles, strollers and rolling luggage. 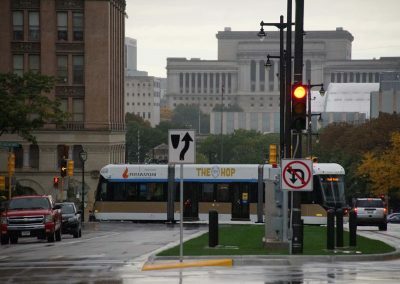 There is no need for a ramp. 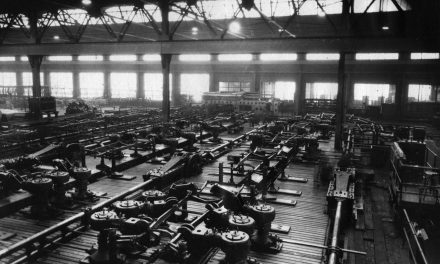 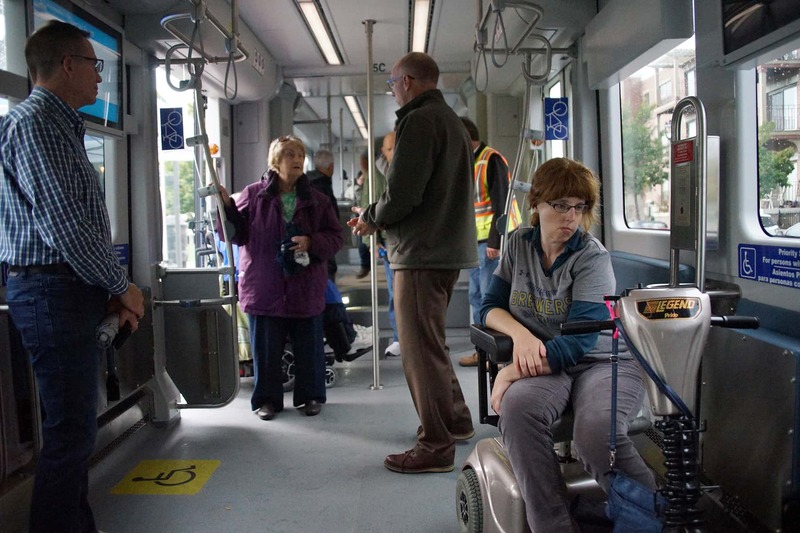 On board, the streetcars have level floor areas with substantial standing areas that can be used by wheelchairs. 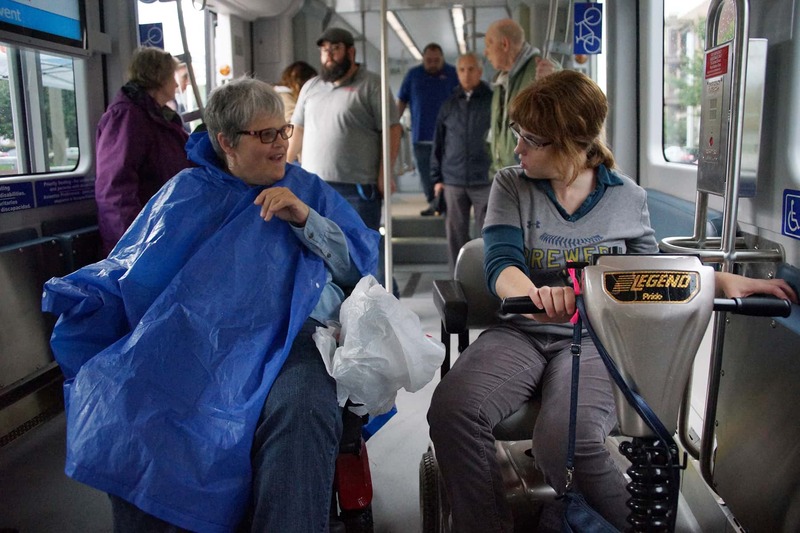 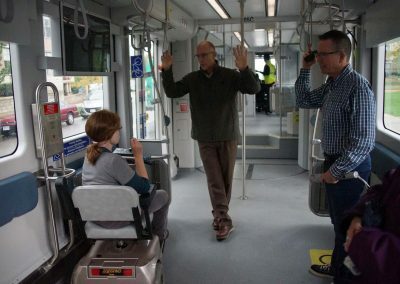 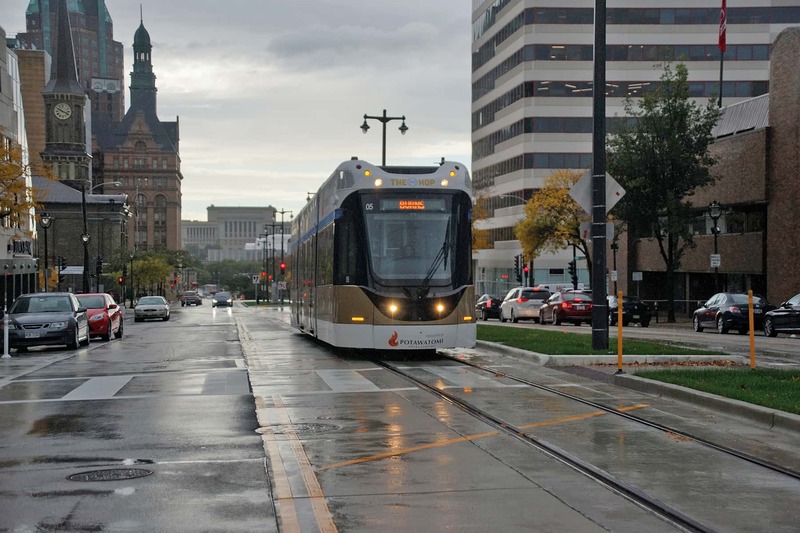 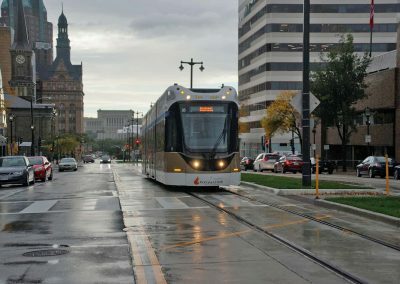 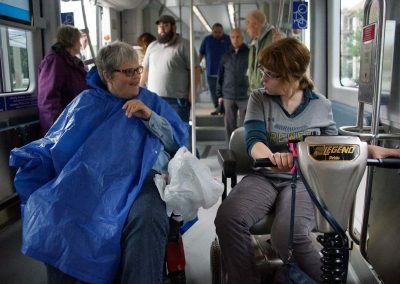 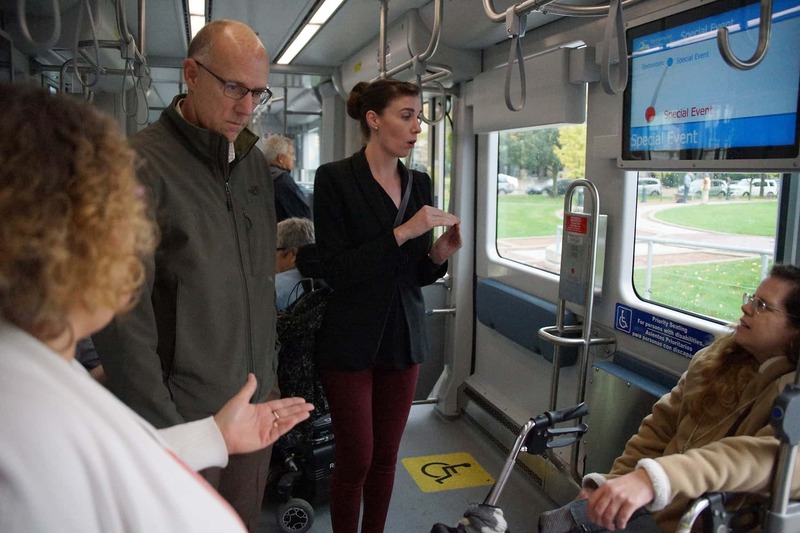 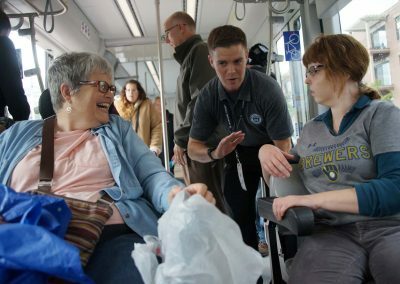 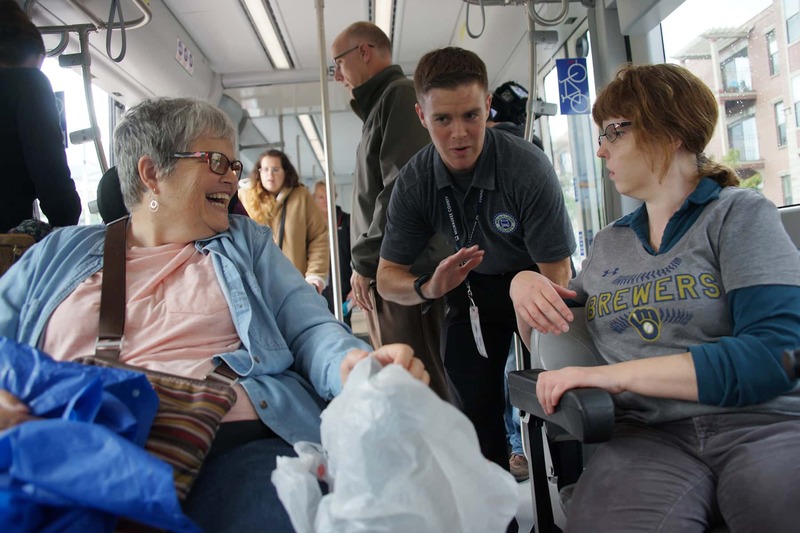 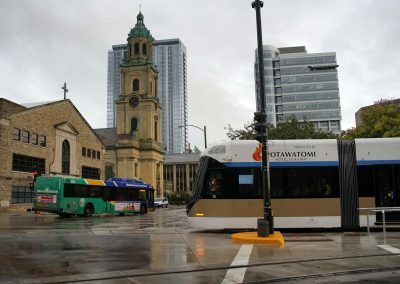 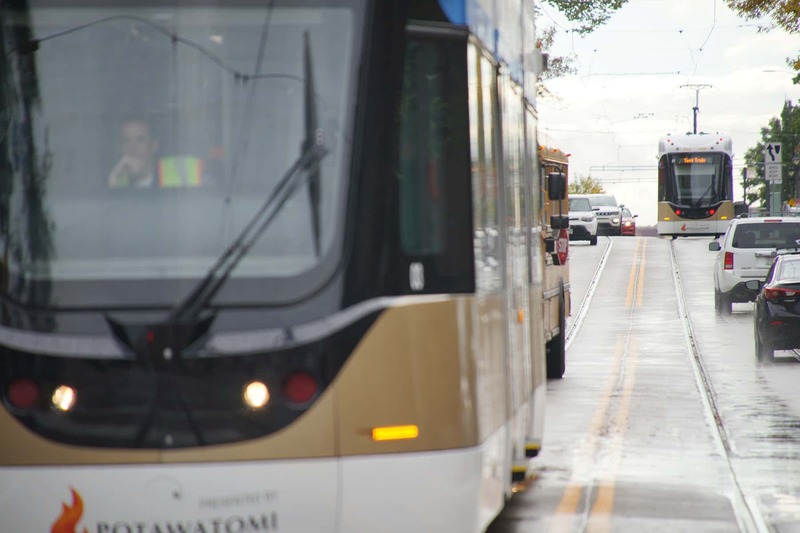 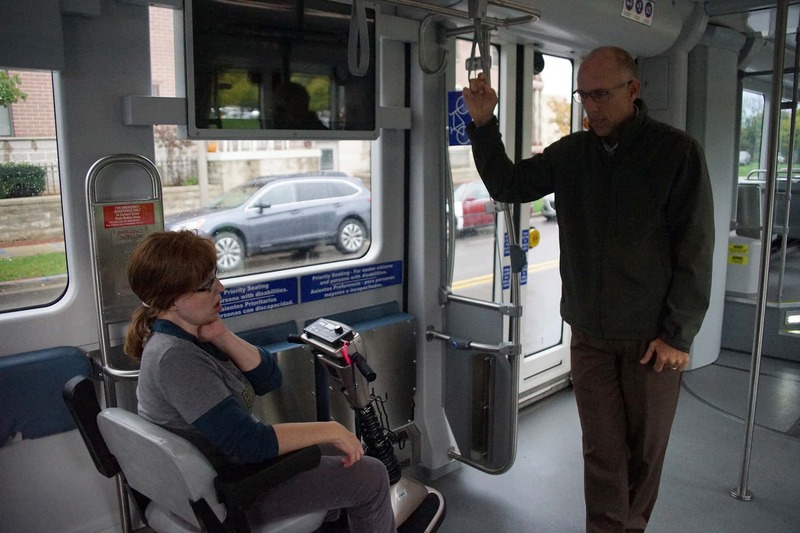 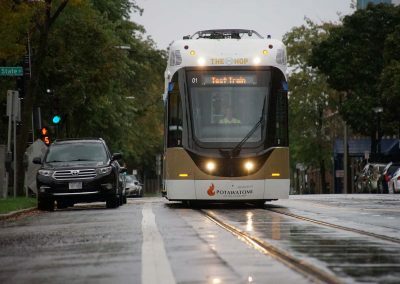 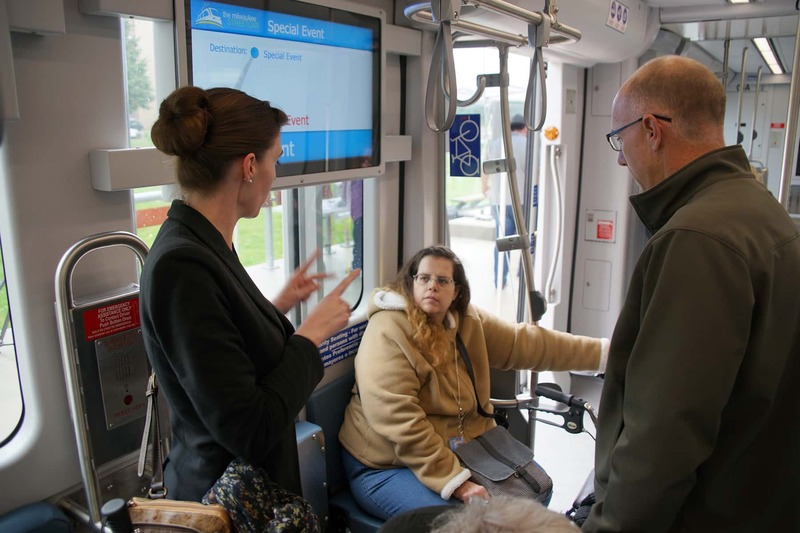 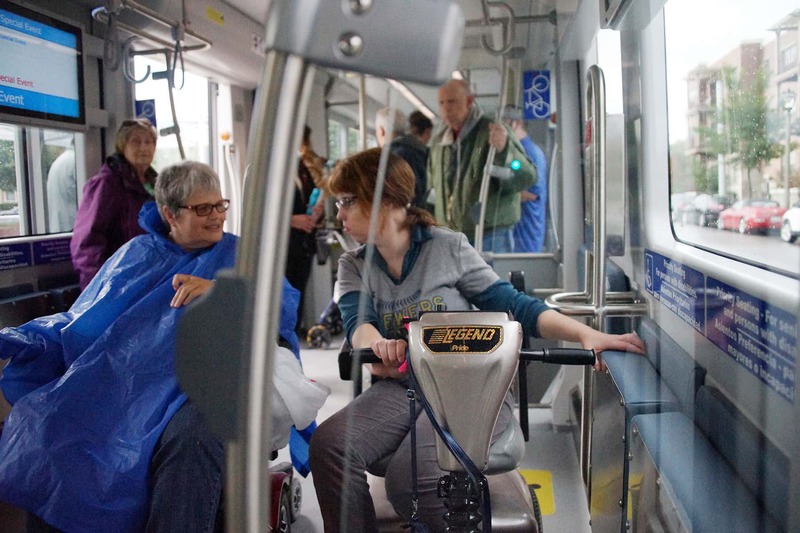 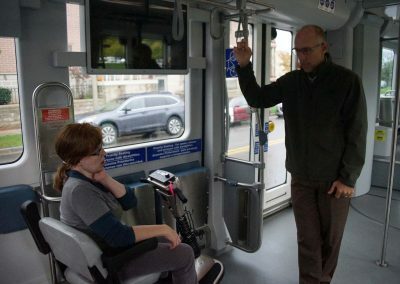 Wheelchairs and other mobility devices do not need to be secured on the streetcar, riders only need to set their brake in the designated areas. 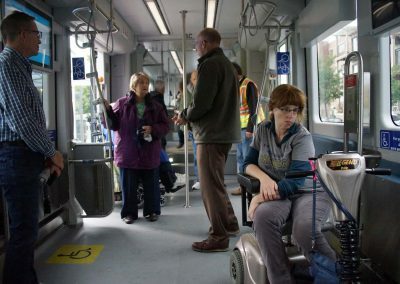 People using wheelchairs and other mobility devices should cross the tracks at a right angle as wheels can get caught in the tracks. 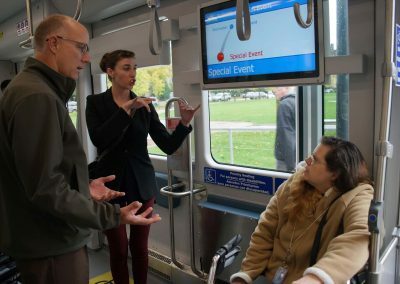 The vehicles feature audio announcements and visual aids such as Braille and designated seating for individuals with disabilities. 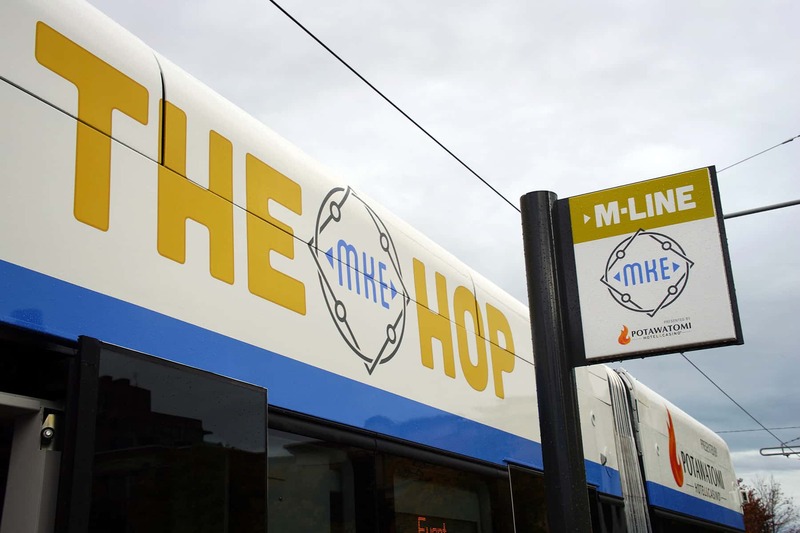 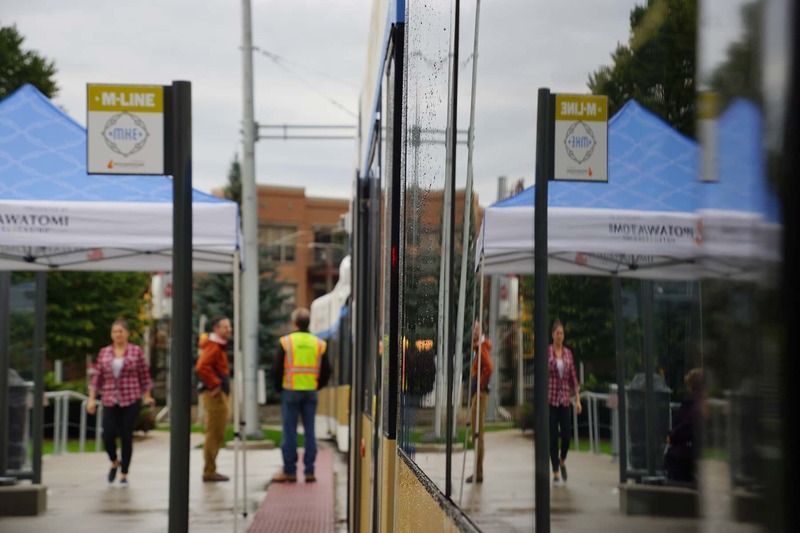 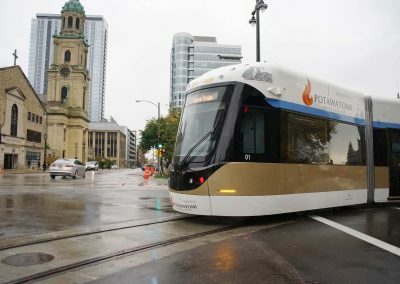 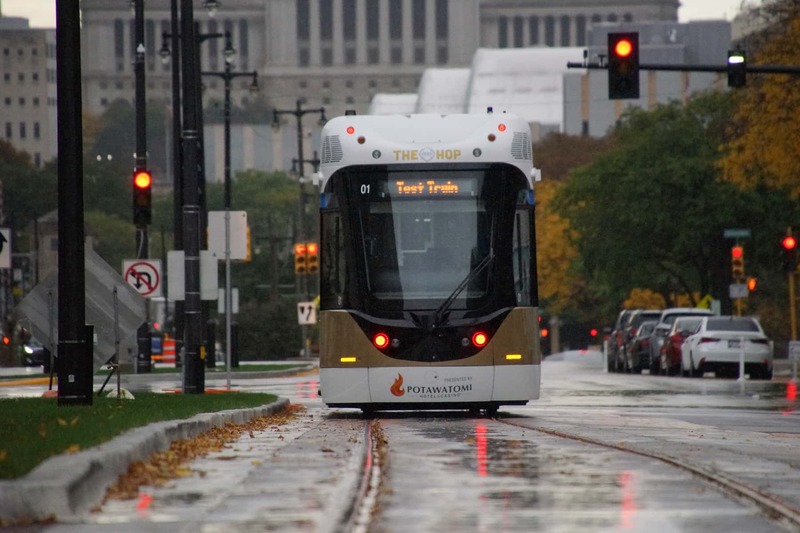 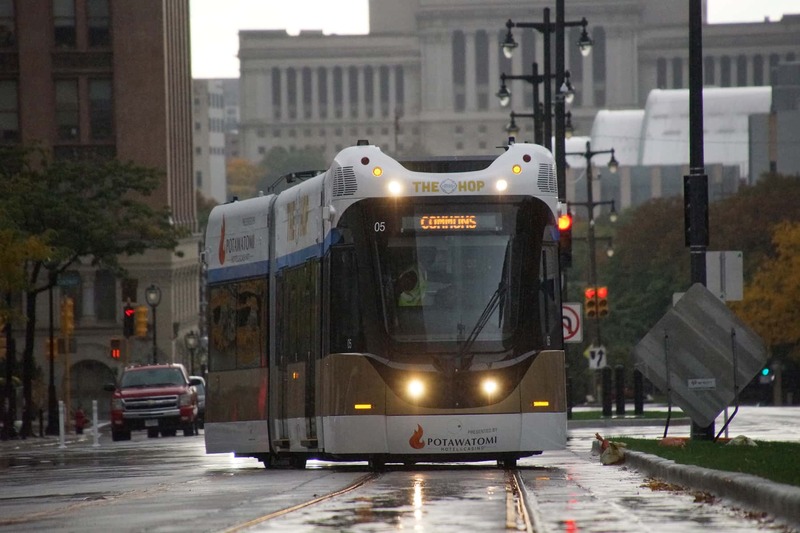 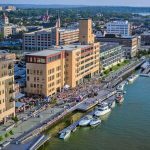 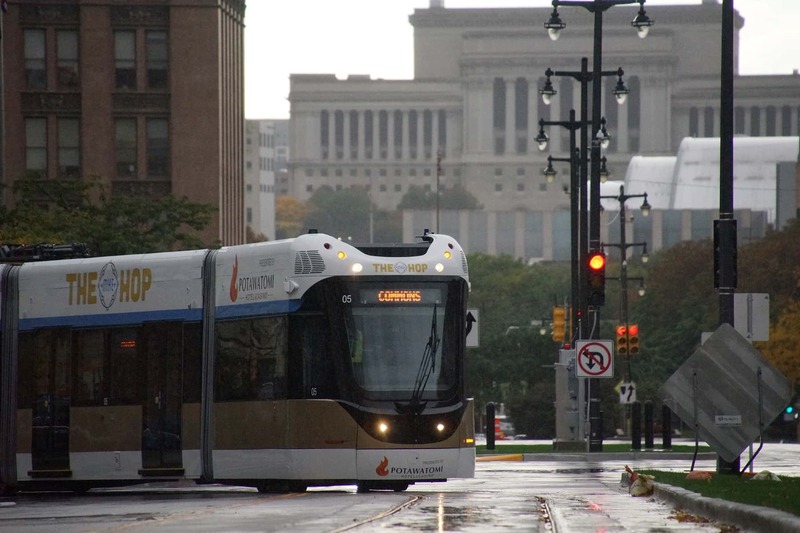 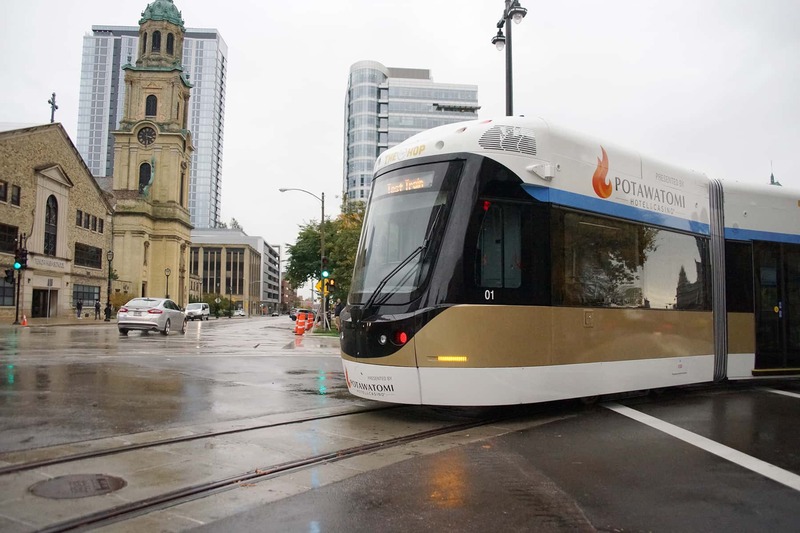 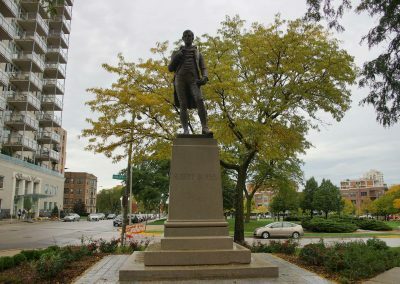 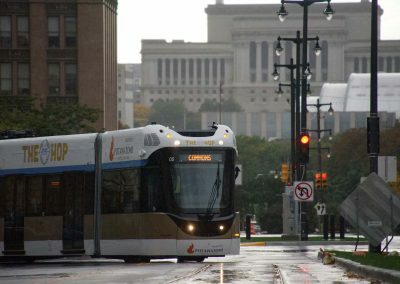 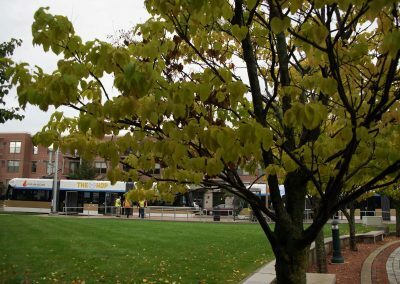 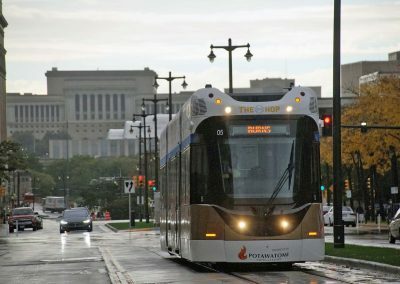 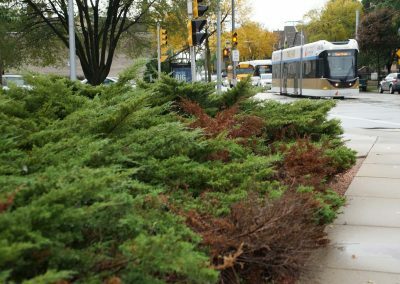 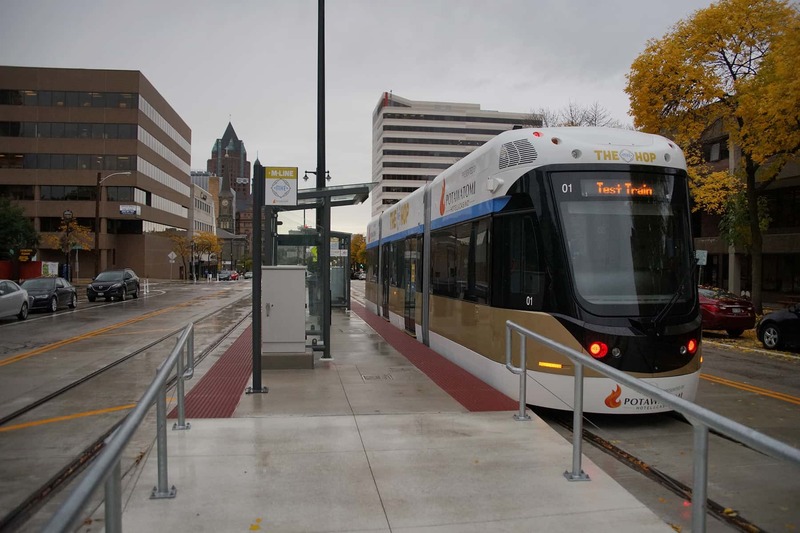 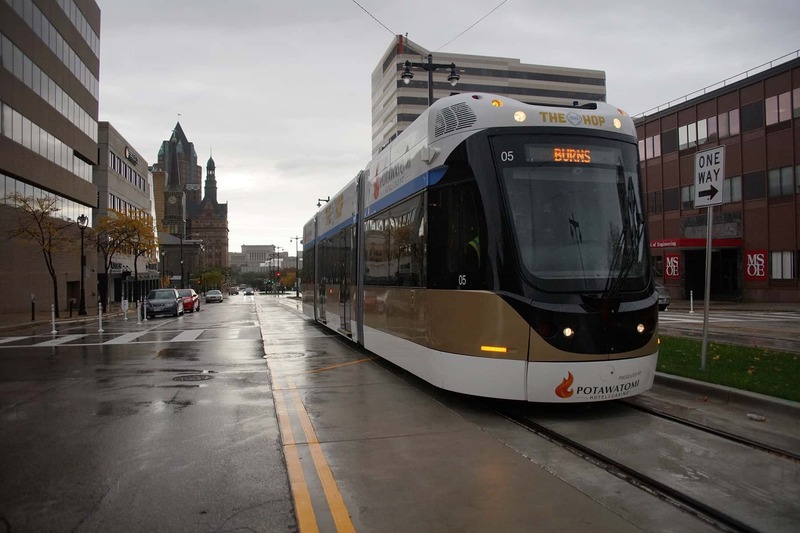 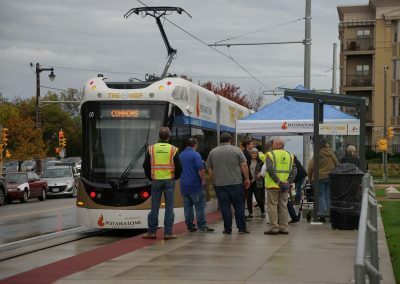 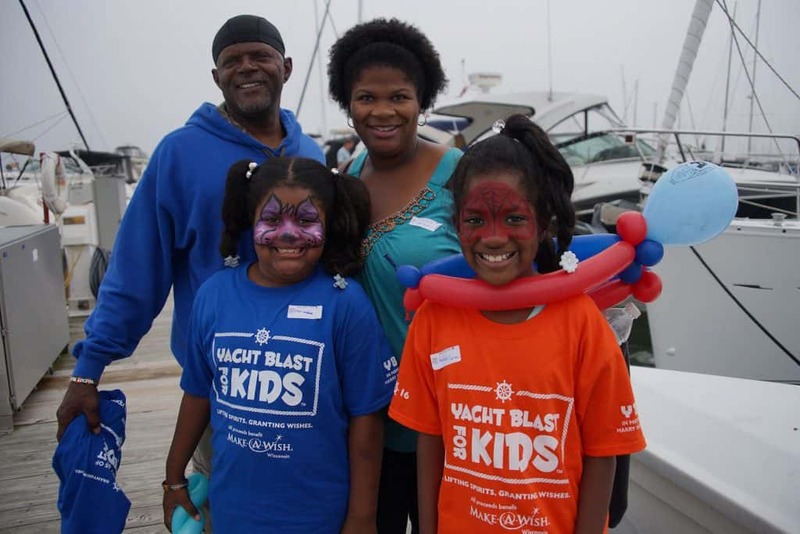 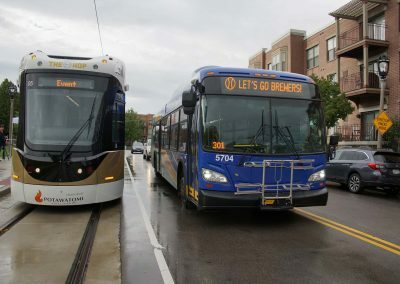 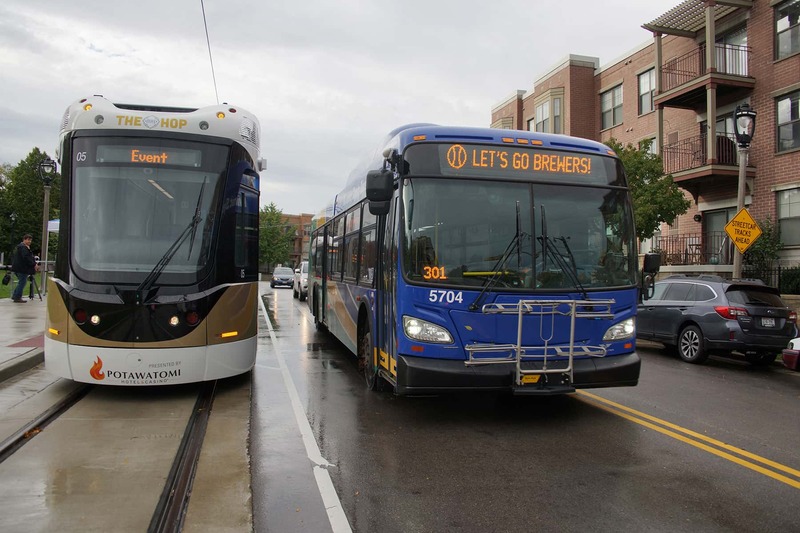 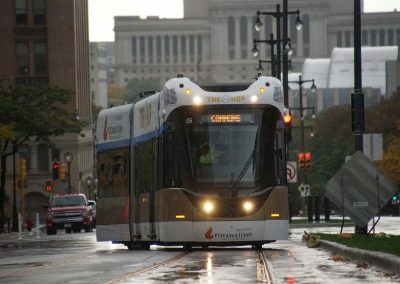 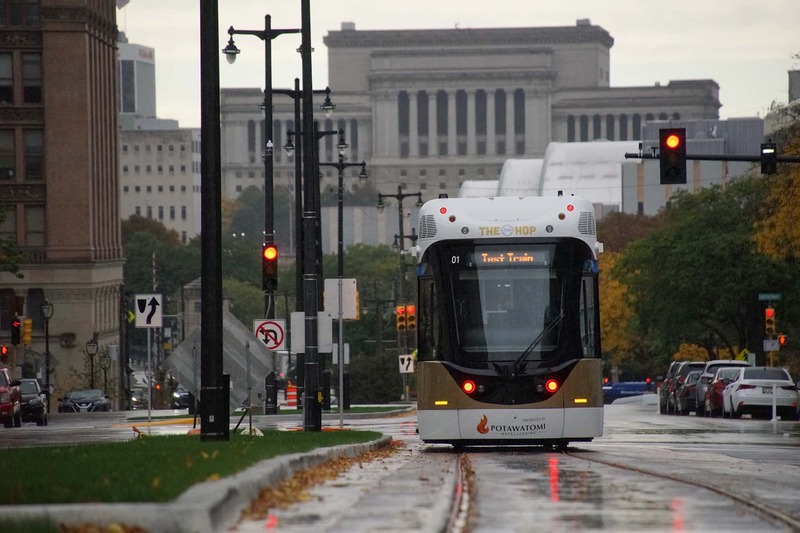 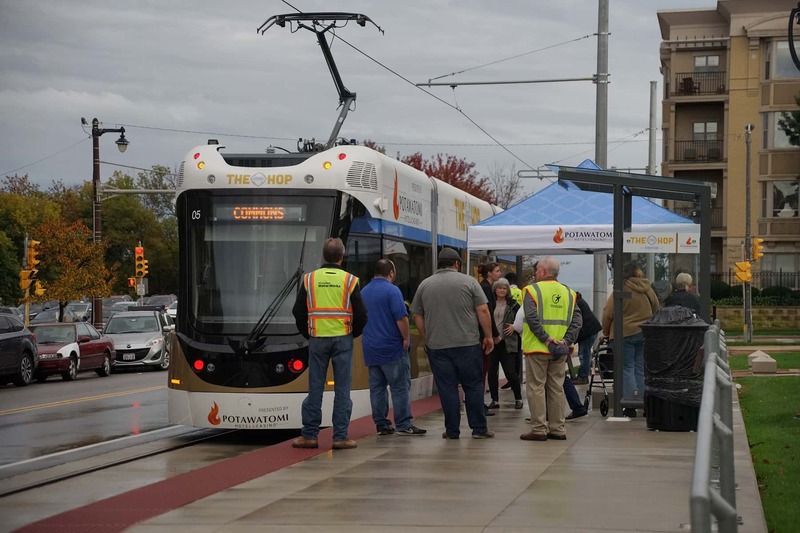 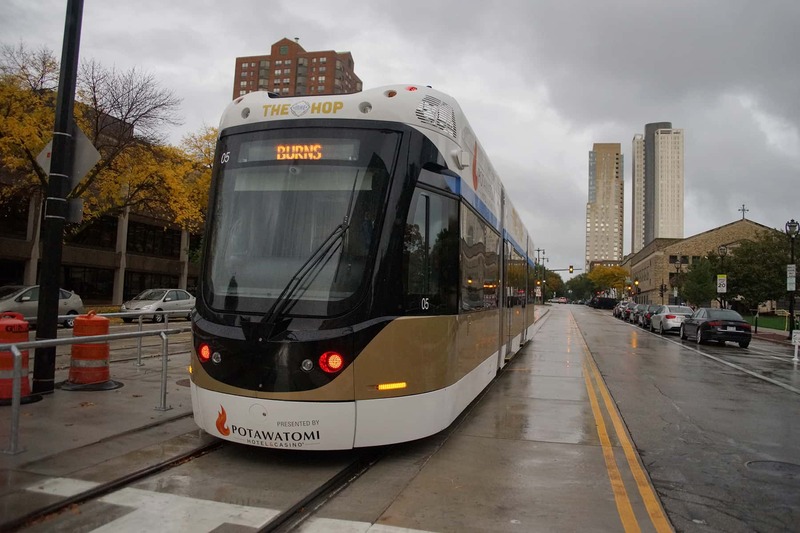 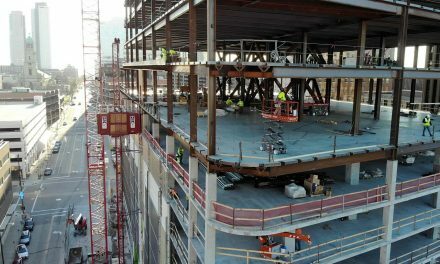 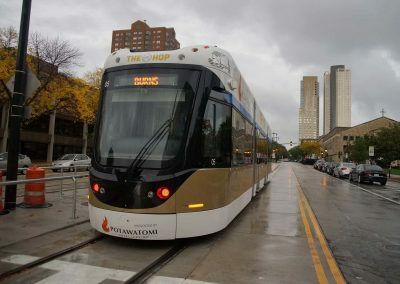 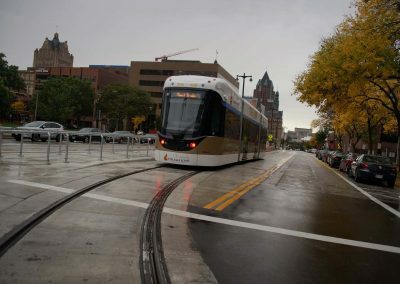 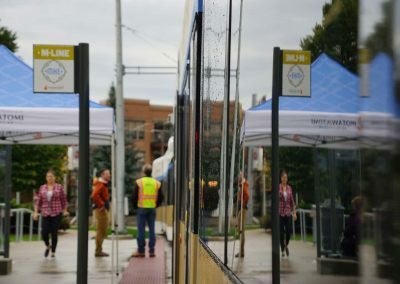 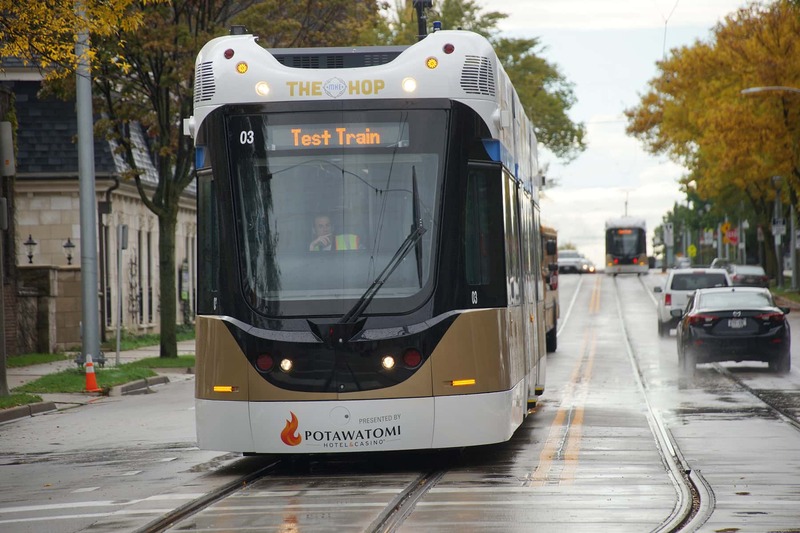 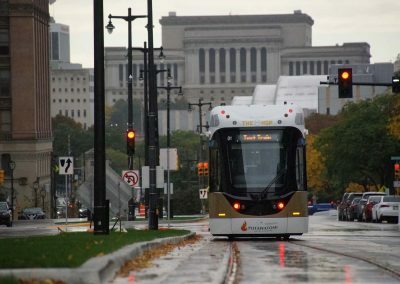 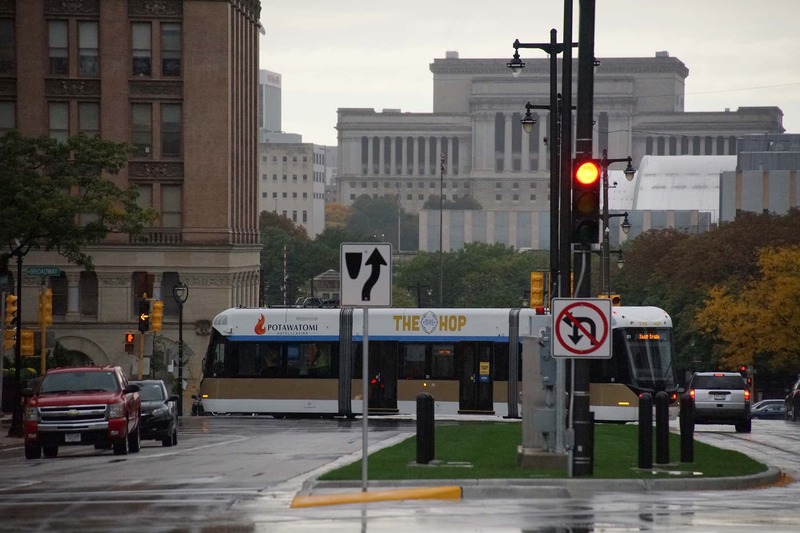 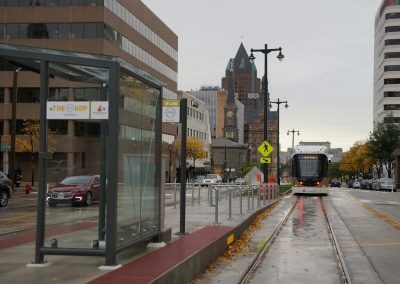 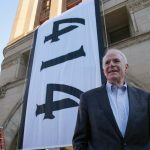 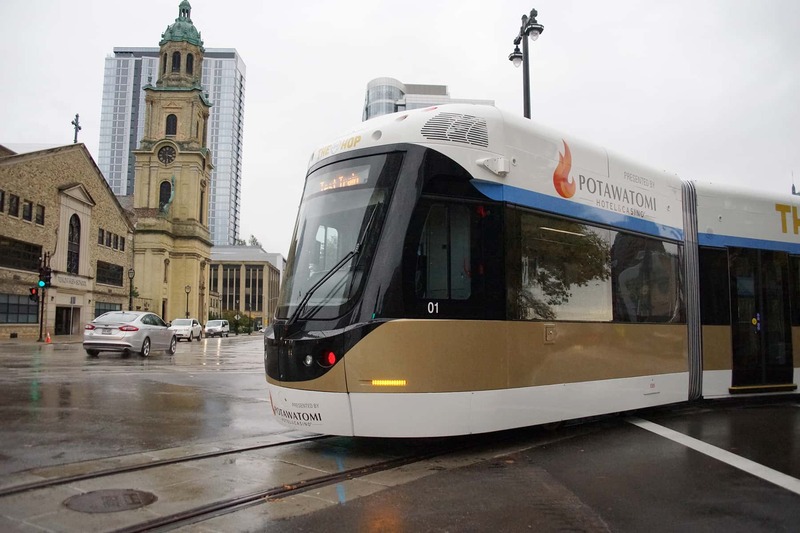 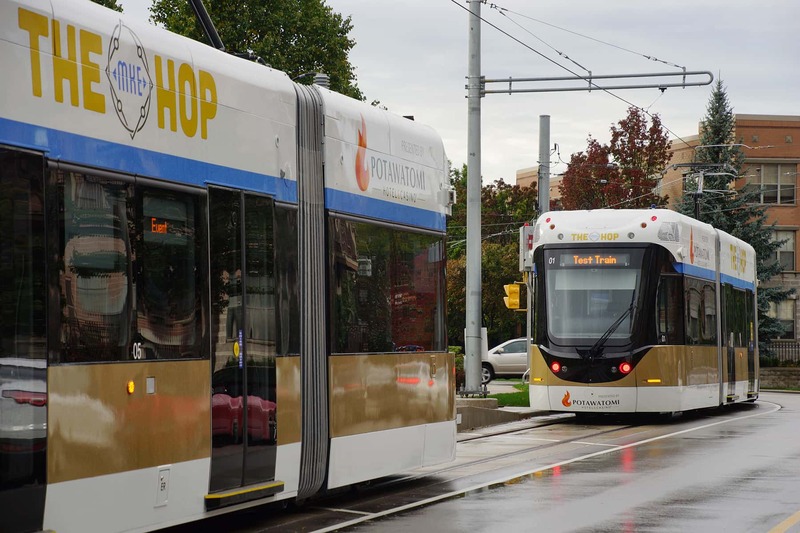 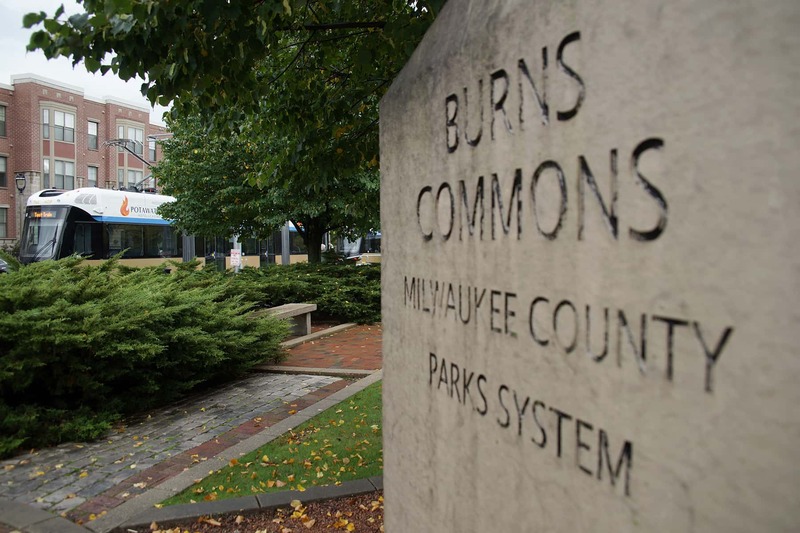 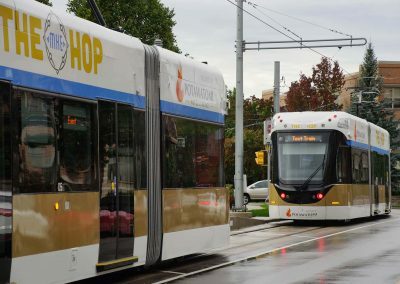 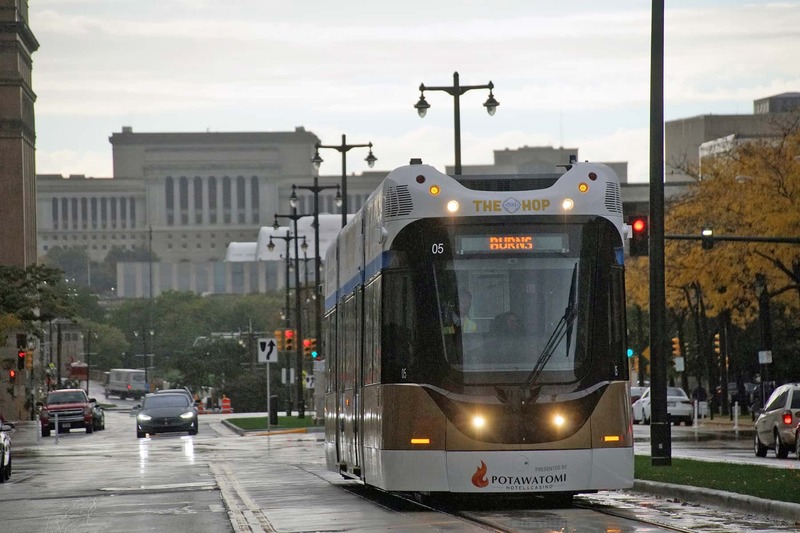 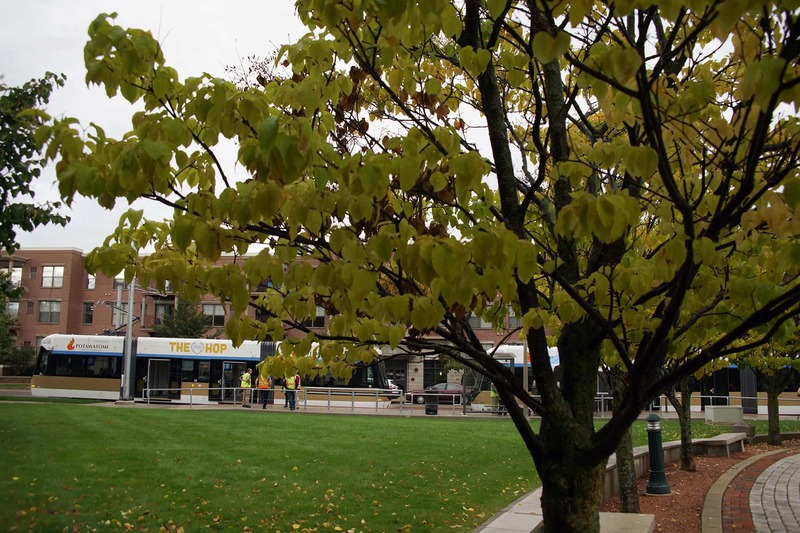 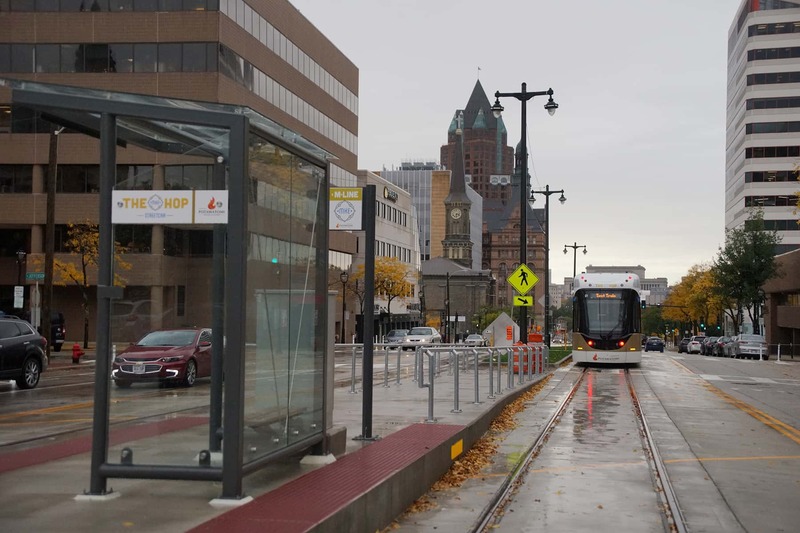 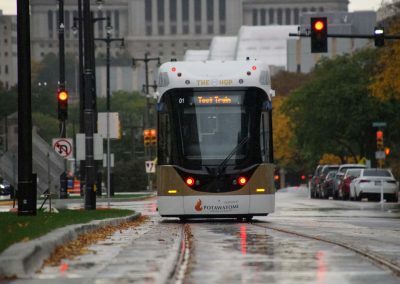 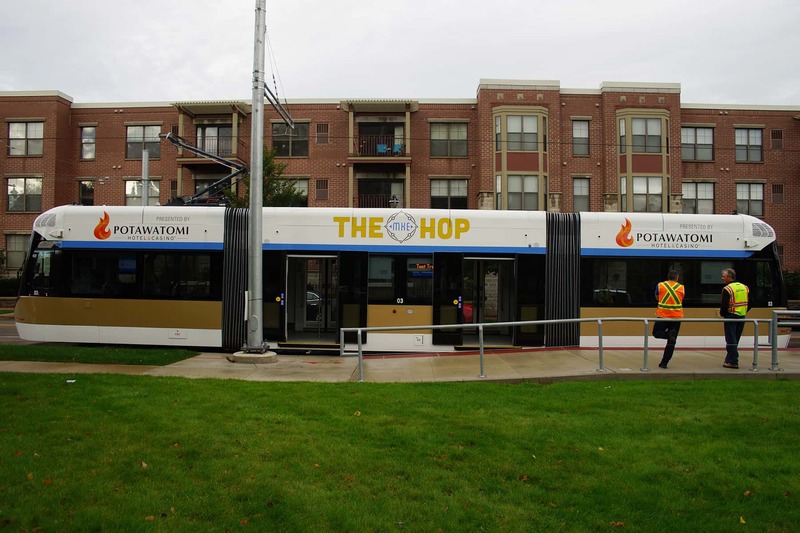 The Hop will open for passenger service on November 2, 2018, kicking off a full slate of “Grand Hop-ening” weekend events designed to engage the entire Milwaukee community. 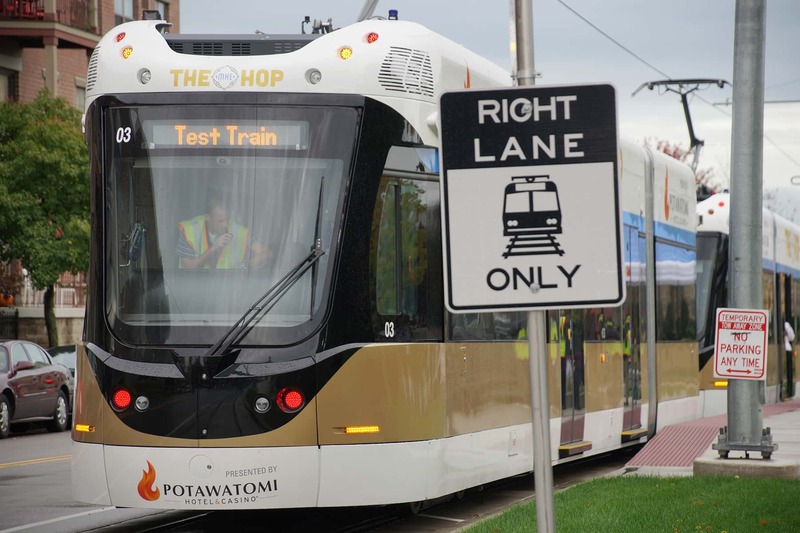 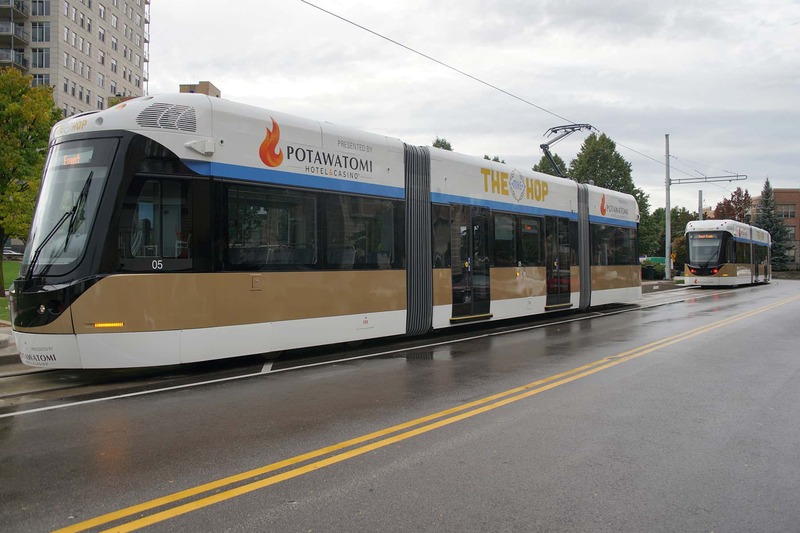 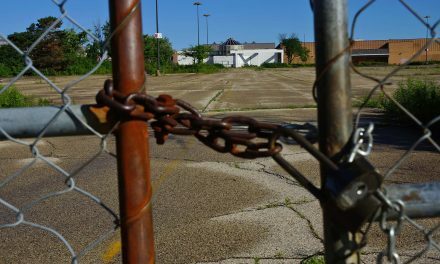 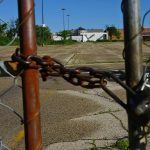 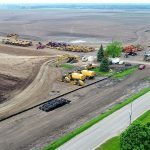 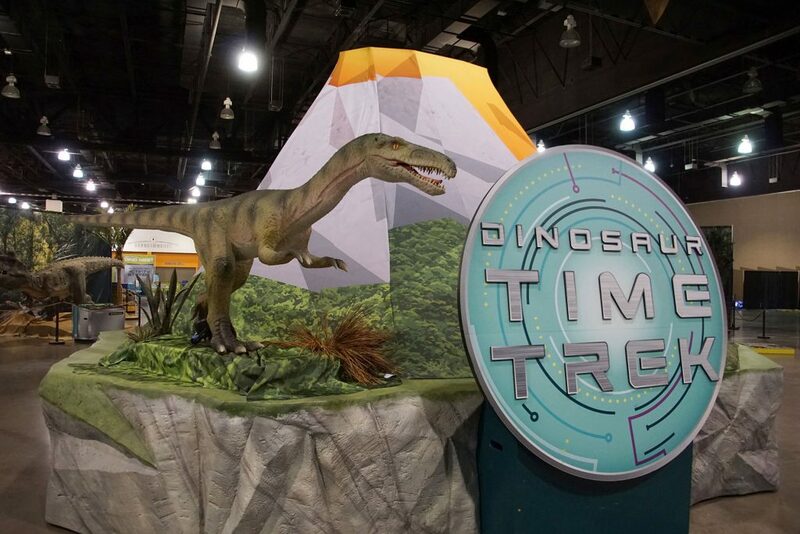 All rides will be free for the first year thanks to Potawatomi Hotel & Casino. 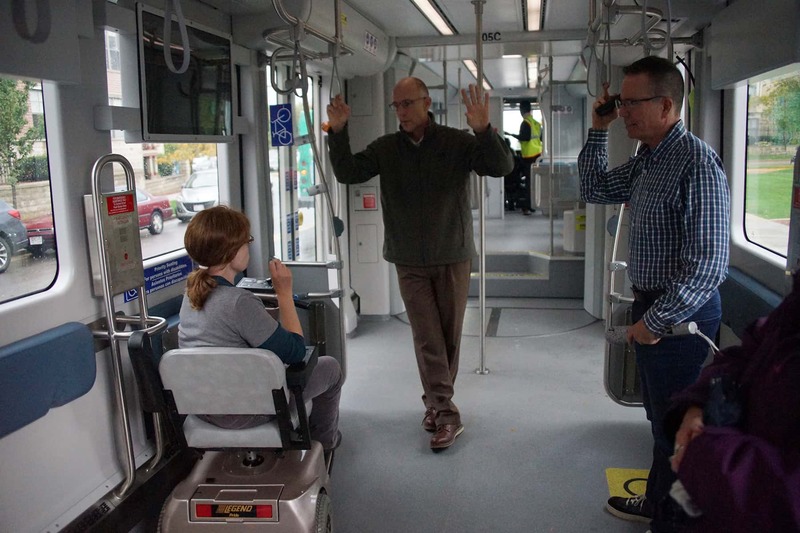 After the first year of operation, passengers will purchase tickets off-vehicle as there are no fareboxes on board. 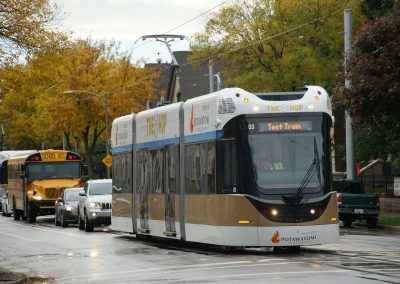 Fare inspectors will make random checks of all passengers throughout the day to make sure they have valid streetcar passes. 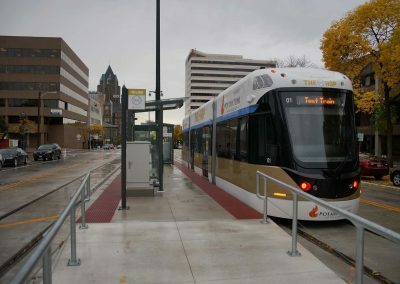 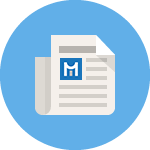 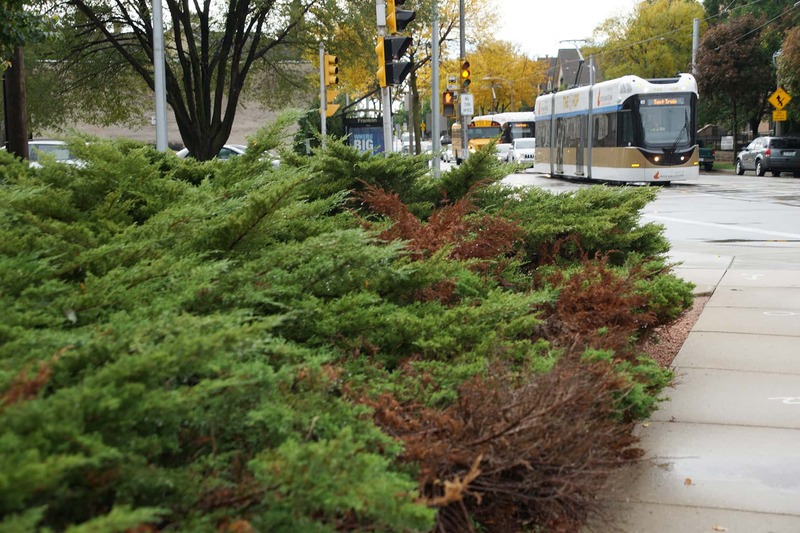 Expected fare after the initial 12-month free period will be $1.00.